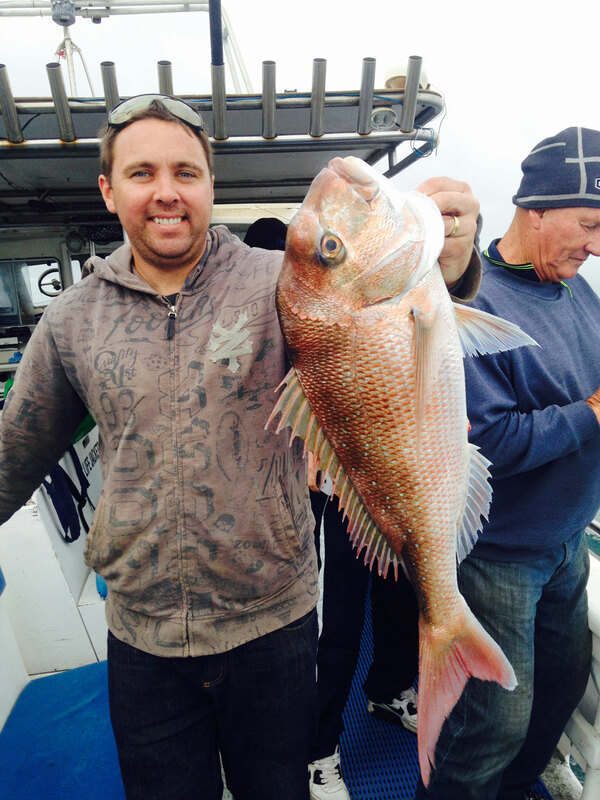 Spring Snapper are on fire…. 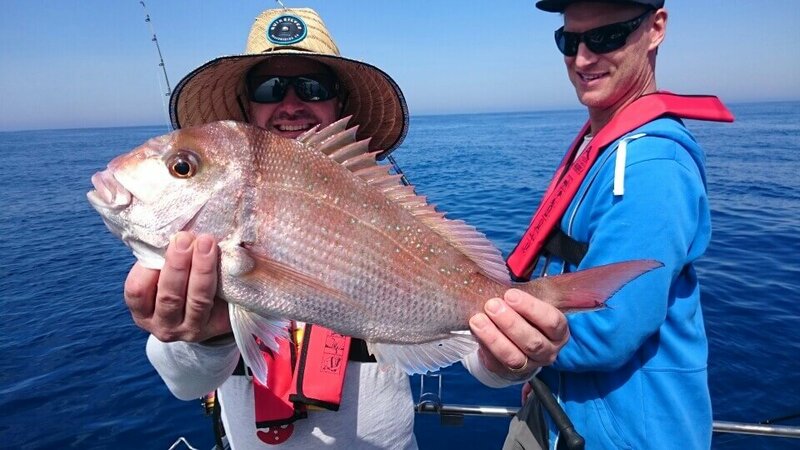 Customers on board this last weekend went away truly happy with loads of Snapper being caught down at Barwon Heads, what a ripper start to the Snapper season!!!! Salmon have showed up in the Rip so there's some good fun to be had trolling and still plenty of good Calamari around. Give us a call on 0438390312 to get yourself a spot on one of our trips. Just letting you know we (Julie, George and Michael Sloan) had a great time on Sunday morning. It was well run and friendly with the skipper and his crewman working hard to make it an enjoyable and informative day for all. And we caught some fish, which we have already eaten. The flathead and red Mullet being the best for me! At lunch we agreed that we would do this again! Well done. Hey guys, just got home from todays fishing trip, and had the salmon for tea, it was absolutely fantastic. Thanks for an awesome day (again). Hope to be able to do another trip soon! Thanks guys an excellent day out fishing, really enjoyed it. Just a note to say thank you and to compliment you on the expertise and rapport of Janette and Nick your Captain and first mate. I would recommend your fishing charter and will be making contact to secure future bookings with Kestrel III. On behalf of my son and myself, I would like you to pass on this endorsement to Janette and Nick. Thanks Sharina for a wonderful fishing charter last Sunday. The fishing was good and the skipper had a lot of patience in his choice of locations. The fishing options were made easier because the boat had a range of gear on board from light rigs to trolling gear. Most of my praise went to the helpful crew that kept the hooks baited all day and gave us all great encouragement throughout the day. To the Boy's on the Rip Runner. I thank you for the best birthday trip, could not have asked for two great guy's who made the day so exciting and fun . Just wanting to thank you, Toby and the crew for taking us out yesterday. Everyone had a great time. I just wanted to say thank you all for the great day we had fishing last Thursday. Your 3 crew members (NIck, Rick & Tony) were so helpful. I would highly recommend your fishing trips and hopefully will be back in the not too distant future. Just wanted to say thanks for a great day on Saturday. My 2 mates and I had a great day with Gav and Thumbtack! The boys couldn't do enough for us and made sure we had a fantastic time. We will certainly be making this an annual event. Great day out. You made sure my kids had a memorable experience, and we are still enjoying the flathead and trevally we caught. Went out with Tony and Joe today. I would just like to let you know that they were terrific. Could you please pass on my thanks to both Tony and Joe, they are a credit to your company. I'm hoping to do a snapper trip at a later date and will definitely go out with those guys. I would also be delighted to recommend "Rip Charters to all my friends, and will. I just want to thank Tony, Arthur and Joe for making our fishing experience so great! We caught lots of flat head and some squid. While the weather was not the best, everyone had a terrific time. I want to especially thank Joe, who was great with kids - my son and his friends had a wonderful time and were made to feel very welcome! Just wanted to say trip was great, thanks. Please pass on a big thanks to skipper and crew who did a fantastic job. I have been on a few charters over the years and not once did any of them put in as much effort in trying to find fish for us. Thanks heaps again and I will be booking again and recommending you to all my mates. Thank you so much for a fantastic day on the water. Phil and the boys were full of knowledge. I will definitely be going again sometime. The best seafood is freshly caught by your own hands. 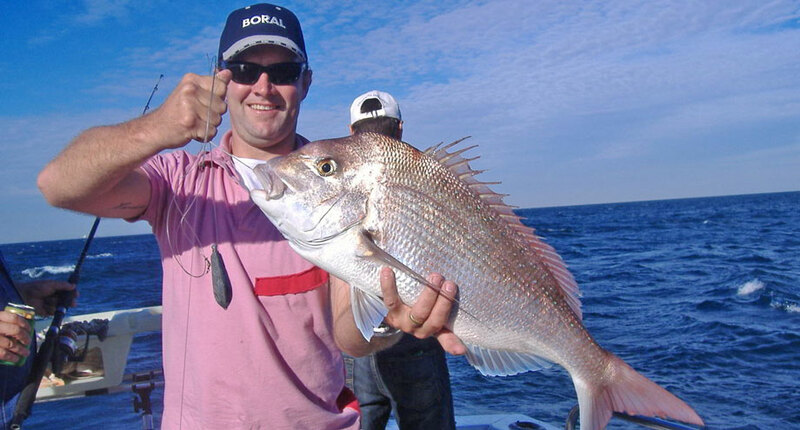 Discover the joy of fishing in some of Victoria’s best waters. We even work with school groups, giving little ones an up-close look at nature and some hands-on education on knot and rig tying, with some information about our bay and marine life. Whatever your fish of choice – whether snapper, Southern Calamari, flatheads, etc – we can help you bag a big one. Why fishing trips with Rip Charters? 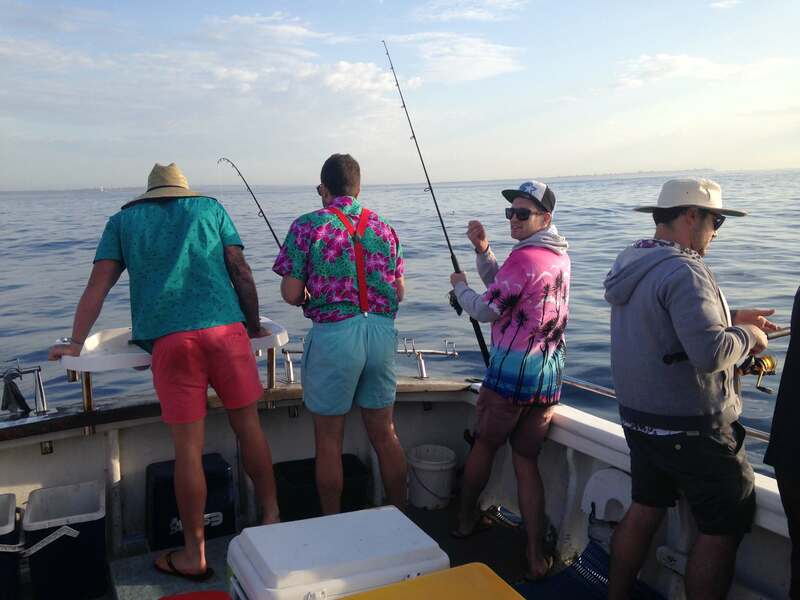 Established in 1986 and celebrating 30 years of fishing trips from the Mornington Peninsula, Rip Charters offers Fishing Charters in Bass Strait, the Rip and Port Phillip departing Sorrento or Queenscliff. All our boats are available for group charters, specialised fishing trips and individual bookings. Only quality rods, reels, bait and tackle supplied plus complimentary tea and coffee on all our trips. We promise you an exciting but comfortable time on board our fully-equipped and specially furbished boats. Fully covered and rigged for fishing, they provide you with a great time even when the weather’s leaving a bit to be desired. Do something fantastic for your next special occasion. Rip Charters offers trips of up to 10 hours, giving you and up to a dozen of your friends all the time you need to talk, laugh, enjoy a couple of drinks and some snacks and in between all of that, catch some fish. Make a booking with us today through our handy online calendar, or get in touch to learn more about how we can customise your trip for you. Call us today at our office on the Mornington Peninsula on 03 5985 6968 or 0438 390 312, or send us a message via our contact form or through email to info@ripcharters.com.au.